“That was nice to see”. 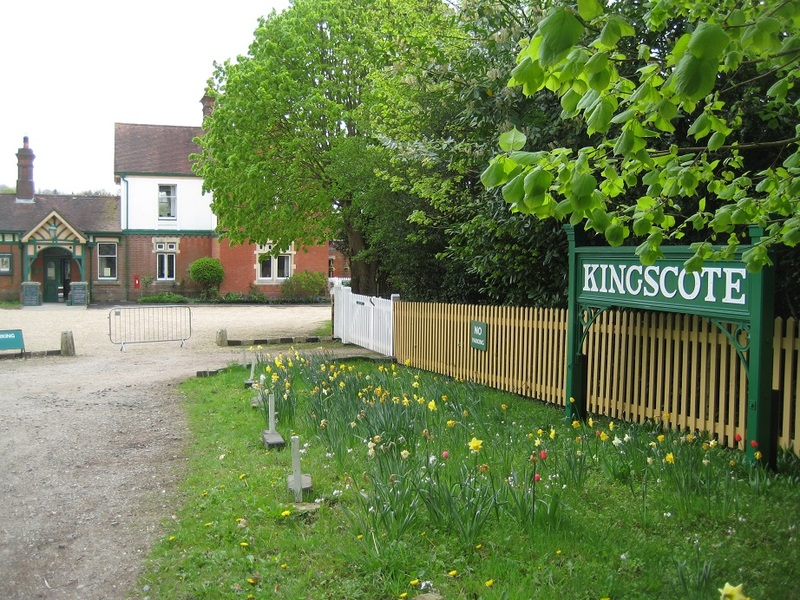 We were travelling on a bus, from Forest Row to Crawley Down to start our days walk. Two lads, both less than 10, had got on the bus, unaccompanied, paid their fare, placed their pedestrian scooters in the luggage rack and climbed to the top deck with no fuss at all. We looked at her strangely, and marked her down as one of those weird, old, women of Sussex. The bus dropped us at the centre of Crawley Down. Next to a small war memorial. 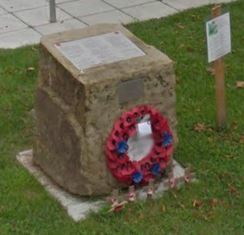 Crawley Down appears to have two war memorials, one is a traditional six foot cross about half a mile away, but this smaller memorial has been used for the last 3 years to mark the centenary of each individual Crawley Down soldier’s death during WWI. Indeed a service had taken place, just the day before. A sobering thought that a 100 years previously there was much sadness in the village, and we, a hundred years later, were out in a bright Spring morning enjoying ourselves. We initially climbed out of the village on a tarmacked private road. 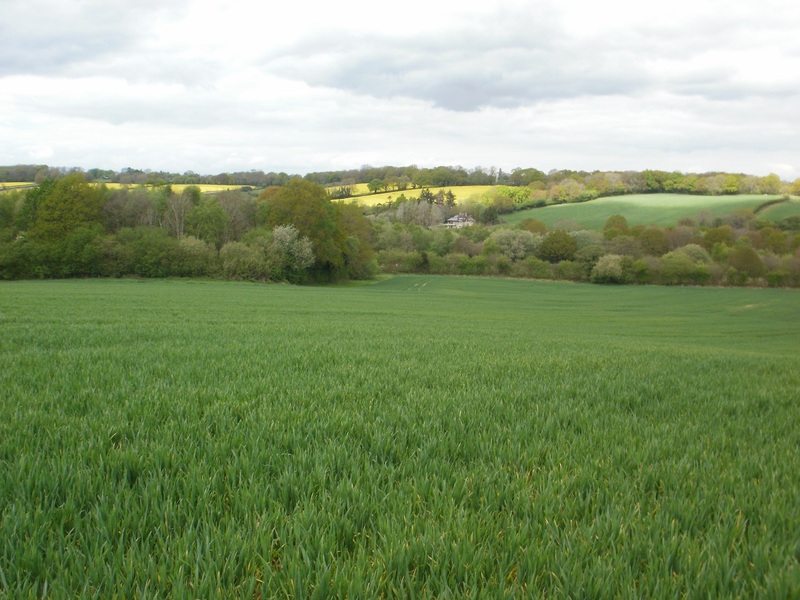 Lots of big houses, and occasional views of advancing new housing estates on the edge of village. 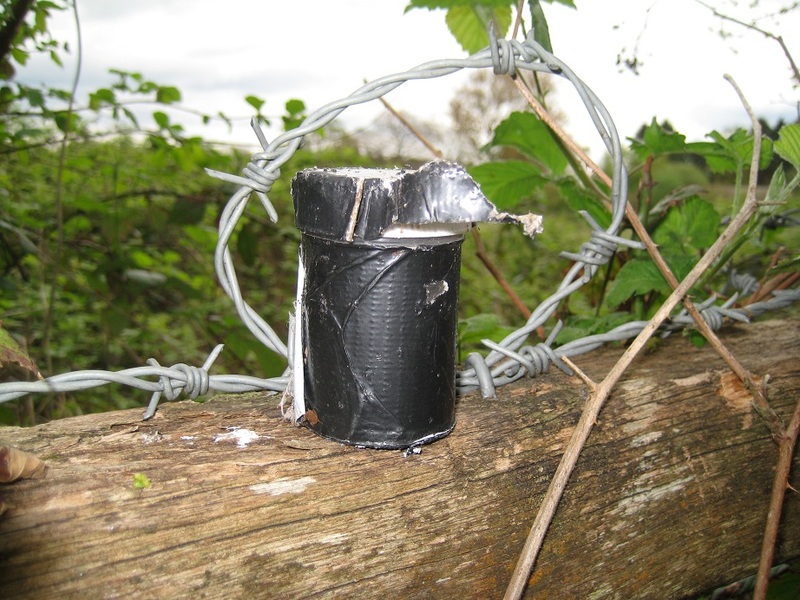 We found a couple of caches on the road (double wrapped film pots) and then suddenly we were in open country. 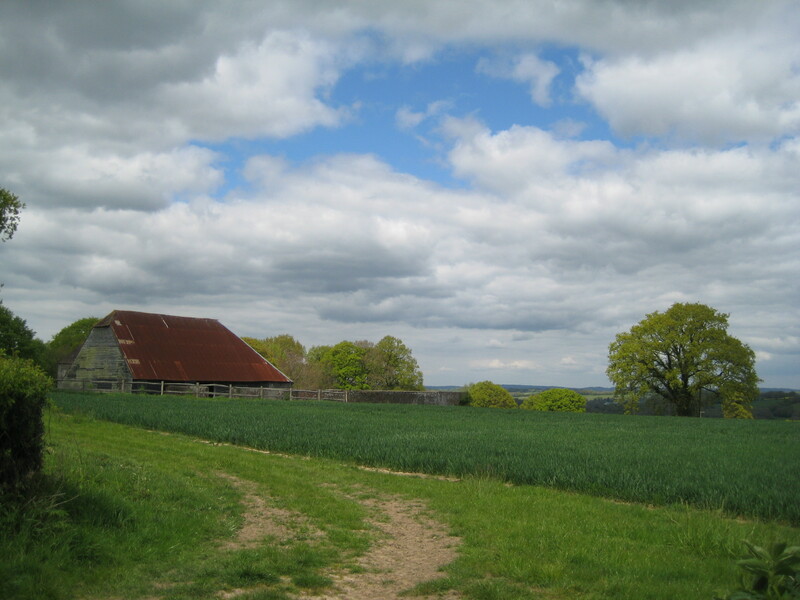 A wide vista of fields and downland opened up and we felt we had the countryside to ourselves. We retrieved the next cache (and unearthed a small one inch frog too) and no sooner than we were replacing the cache then we saw an approaching family. We rushed the to the next cache (another double film pot, easily found) but let the family pass shortly after. They were on a mission.. to feed the ducks and swans at a nearby fishing lake. We overtook them as slice upon slice of bread was being inexpertly tossed into the water by the two young sons. Out of view of the family we approached our next cache. 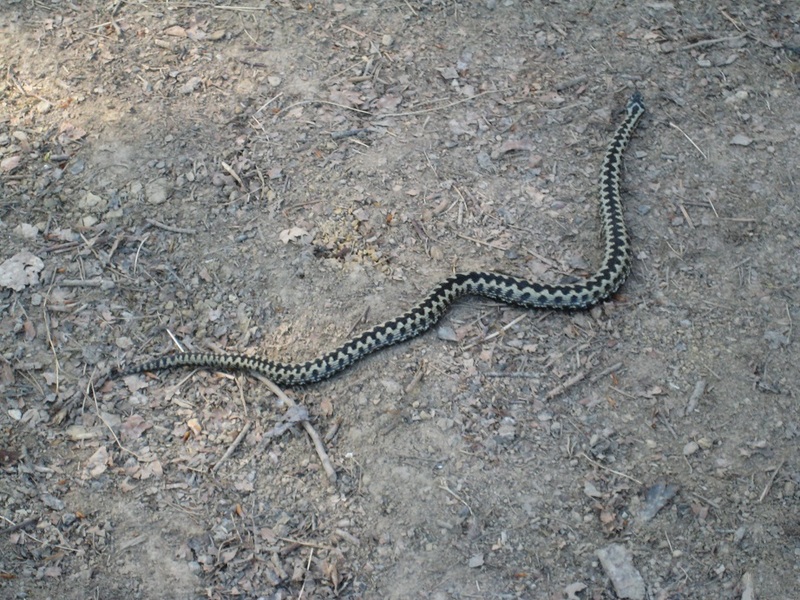 One that had been reported missing a few days earlier. We failed to find it either – our first fail of the day. We took a slight route deviation to the Station Car Park to find out what was going on.. (we suspected a wedding, or charity cycle event), but we were told THE FLYING SCOTSMAN is coming through today! 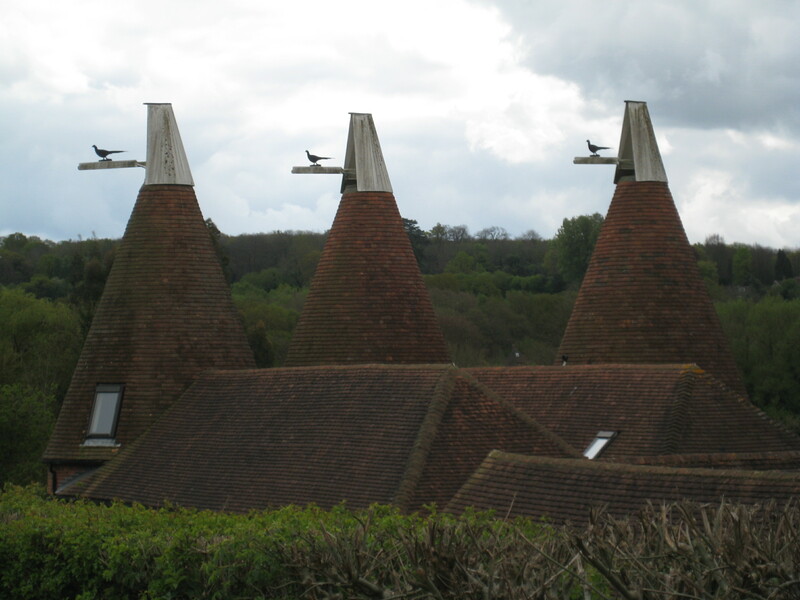 So the weird, old woman of Sussex was not so weird after all. It all made sense. She knew about the train, and assumed the statement “That was nice to see” related to the train and not the two lads. 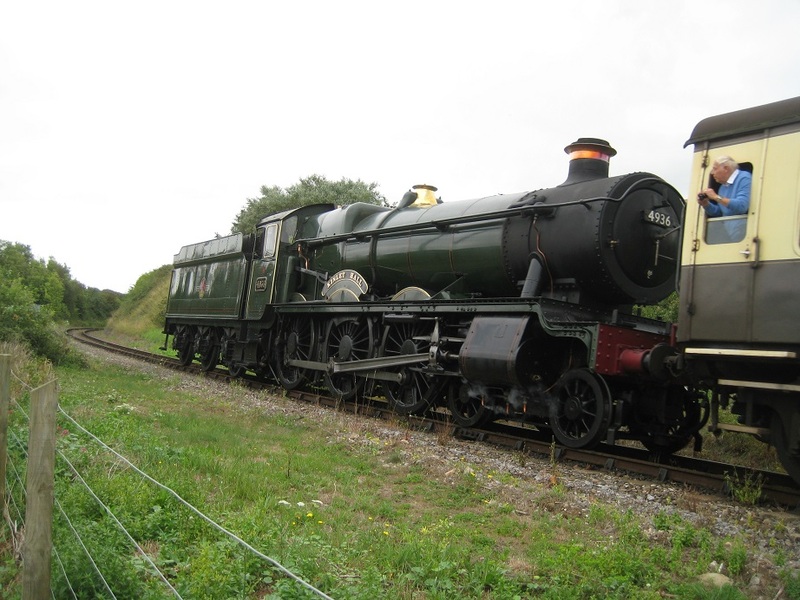 We enquired when the Flying Scotsman would be next passing. We had an hour to wait. Fortunately our route would take us parallel to the tracks for the next half-mile or so, and we would be in prime spotting position. 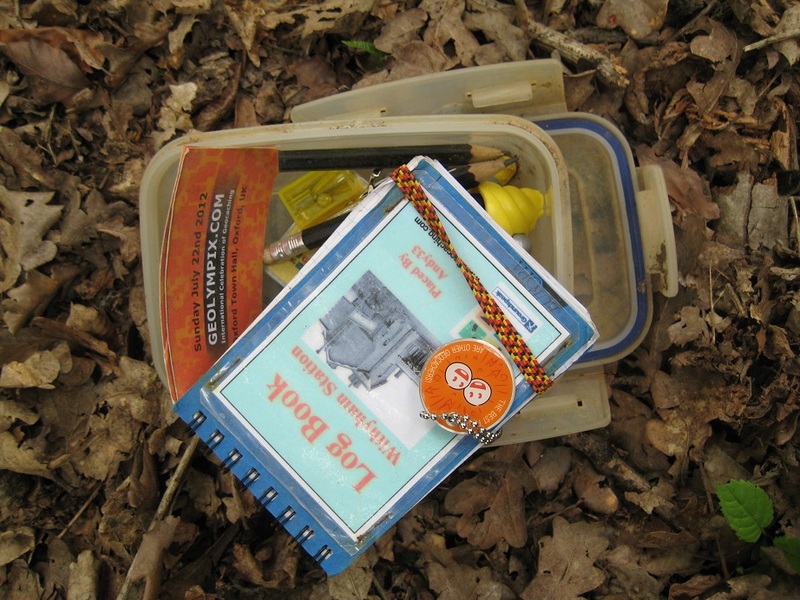 This gave us time to find another cache (an ammo box, placed in March 2007), have our picnic lunch and wait. We waited, with 50 or so train fiends, each armed with various notebooks, cameras and air of expectation. We were not disappointed. At 1315 it came past. We took photos, we waved, we snapped some more! An unexpected bonus on our geocaching trip. 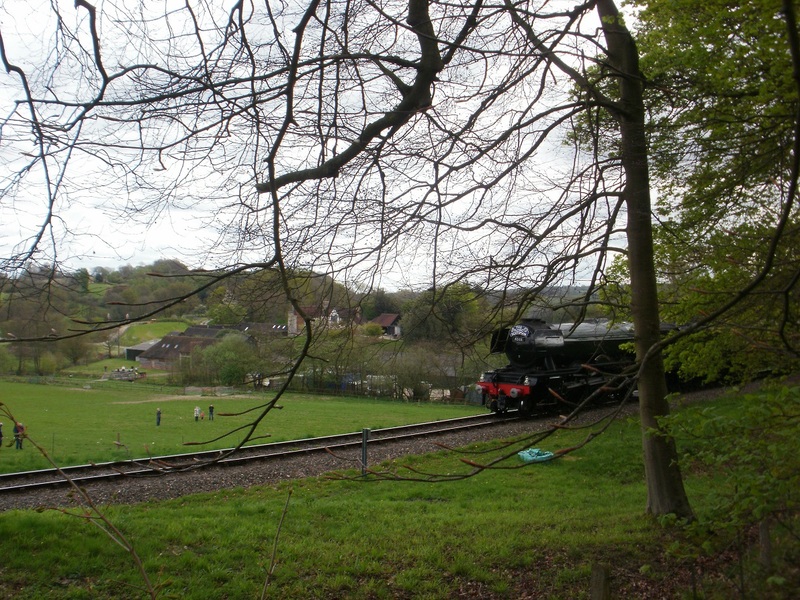 We had lots more caches to undertake, so we decided NOT to wait until the Flying Scotsman’s return journey at 1400. As we proceeded we passed various people waiting by the line, others rushing to the line to see the 1400 steam-by. As you can imagine the paths were unusually busy, and for once we were grateful we had a mile without caches, as it meant we didn’t have to play ‘dodge the muggle’. 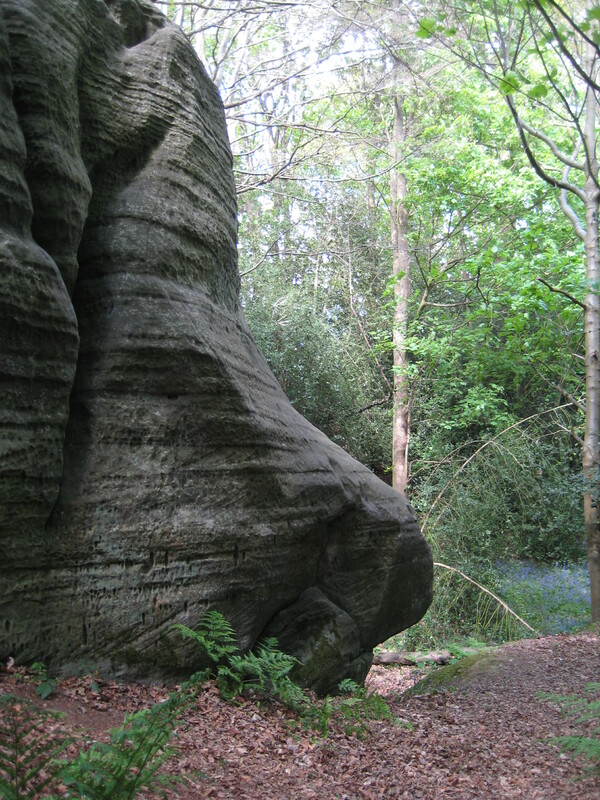 The terrain suddenly changed from open countryside with clay soil to sandstone. 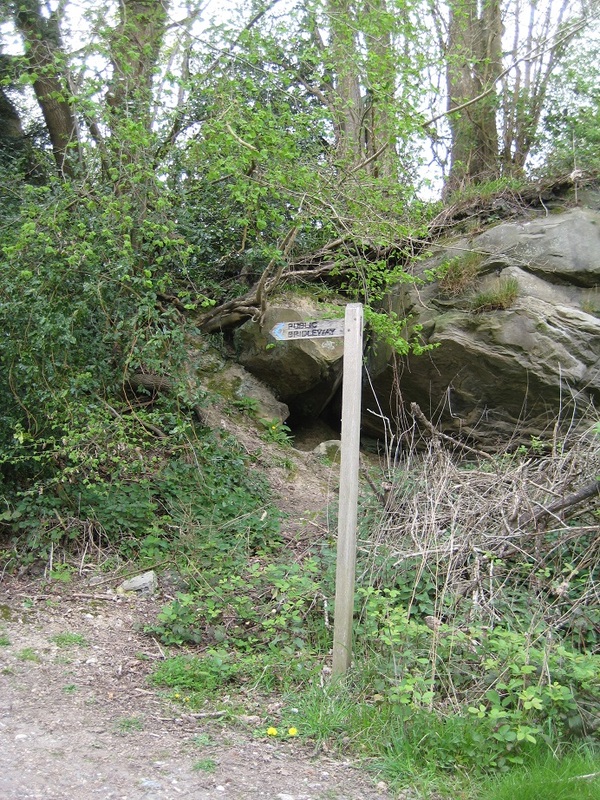 Now Sussex is not renowned for sandstone, but suddenly sandstone abounded. Huge stacks were being assaulted by climbers, and our next cache was near the top of one such stack. We hadn’t bought our climbing boots with us, but we found a grassy pathway to the top avoiding a precarious climb. 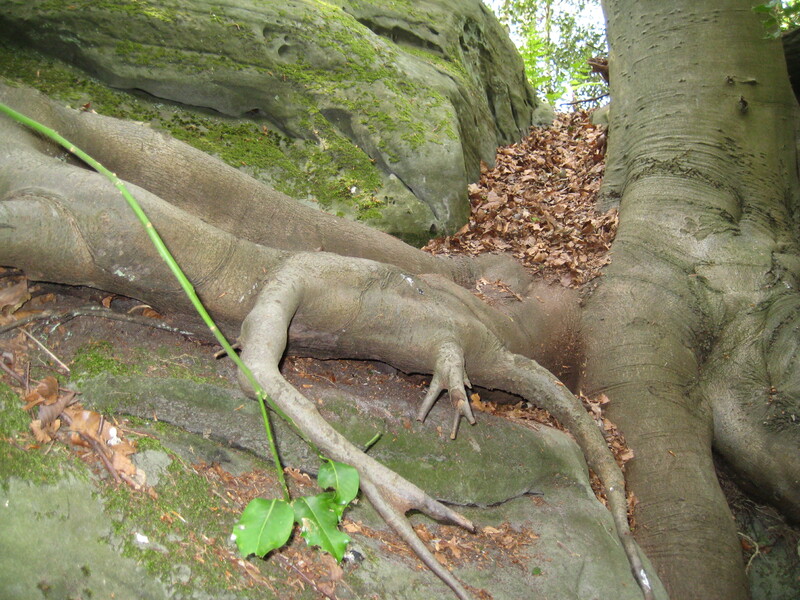 Here, a small cache had been wedged into a tree-trunk, and with a bright orange cap should have been easy to find. It wasn’t, and after about 10 minutes perched over a sandstone ‘cliff’ we saw the flash of orange, and the log was signed. Somewhere up there… is a cache! 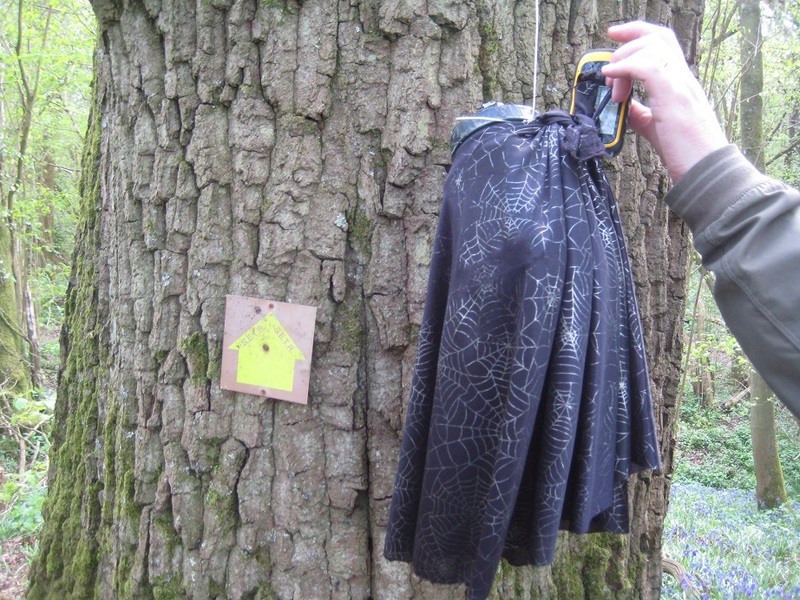 The caches we attempted during the Earthcache were part of a ‘Trick or Treat’ series. Each one was themed on a ‘Halloween’ theme… we had flying witches, scary door knockers etc as well as a spider. The spider was scary in its own right, as it was in a grassy corridor between two fields. As we were replacing the cache, a herd of cows, including calves and a bull, decided they wanted to use the corridor and move from one field to the next. Some of the cows went by peacefully, others gave us the ‘hard look of doom’ and with nowhere for us to run to, it was all just a little unsettling. 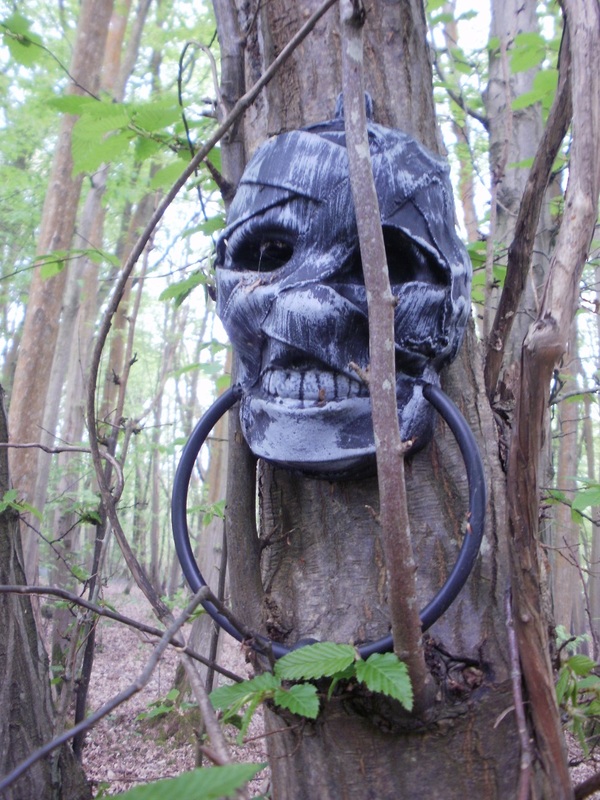 We are quite sure that cache owner didn’t mean that sort of scary when the caches were placed. 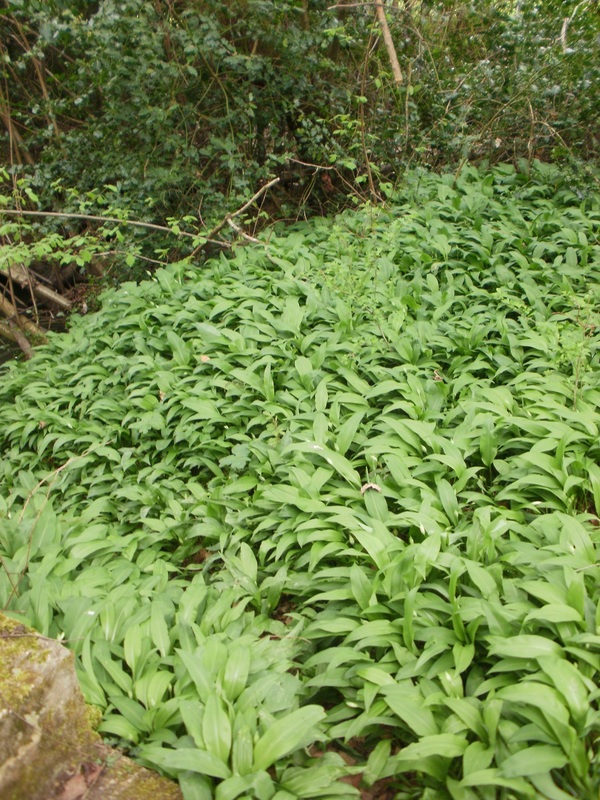 We were now walking along the banks of a reservoir, but with dense undergrowth between us and the water we barely got to see it. Our eyes though were watching the GPS very, very carefully. Somewhere soon we would cross the Greenwich Meridian and into the Eastern Hemisphere. We walked ever slower, waiting, watching and the finally all the Westerly (or was it Easterly) co-ordinates read zero! 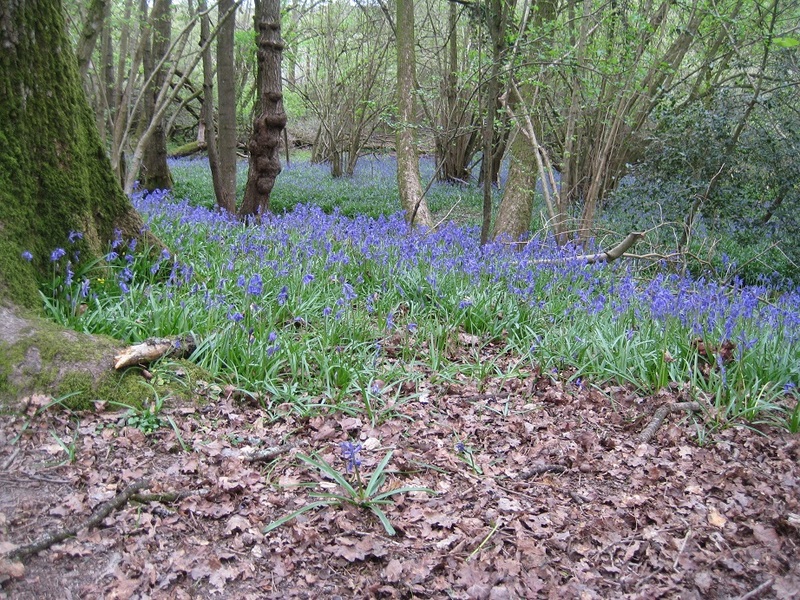 We still had a couple of miles to reach Forest Row and another few caches to undertake. 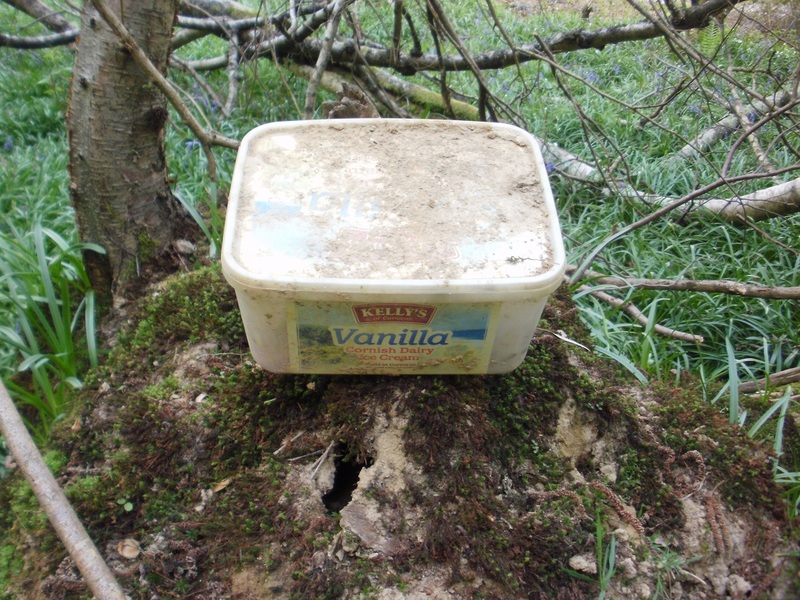 The first, an old ice cream container was hidden under a log in shortish undergrowth. In a few weeks this cache will be tricky to reach, so we were glad we arrived before the main Spring/Summer hedgerow growth. 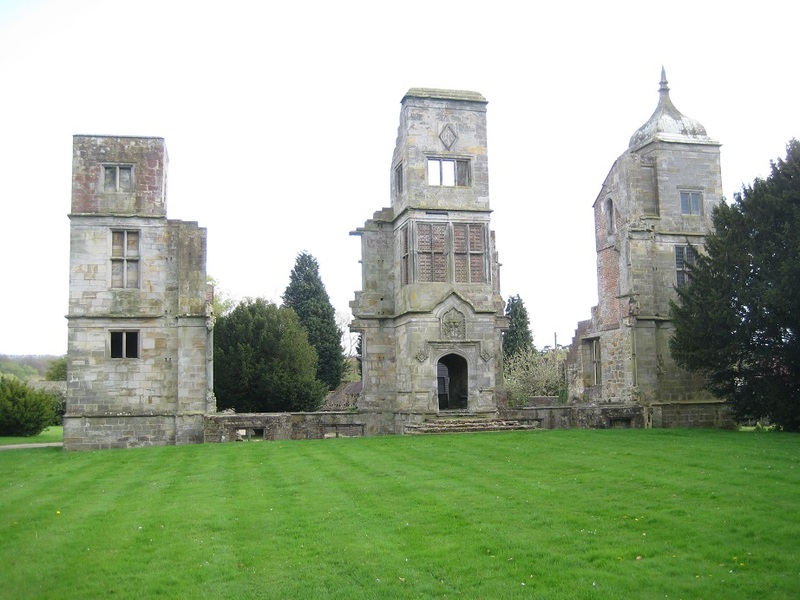 We undertook a multi based on the ruins of Brambletye House (a Grade II* very ruined mansion built during the reign of James I) and finished the day with a series of double-wrapped film pots in exactly the same way as the day had started. We walked about 10 miles, crossed into the Eastern Hemisphere, found 18 caches, including an Earthcache, a flying witch, a 10 year old Ammo can and of course… saw The Flying Scotsman! Phew! Don’t see many of these! 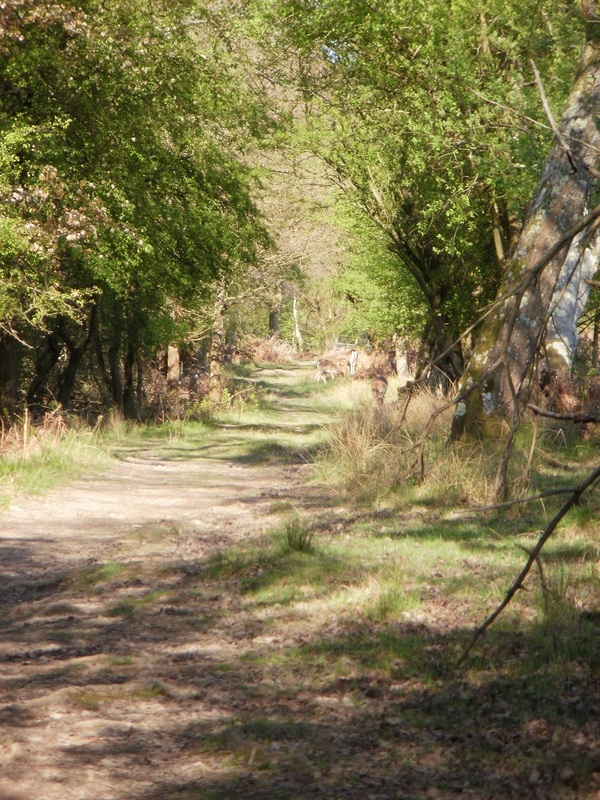 Our walking week on Exmoor was already over – so soon – and it was time to head home. But we planned to hang around for a few minutes and get a few caches, putting off the time when we would probably spend more than a few minutes on the A303. 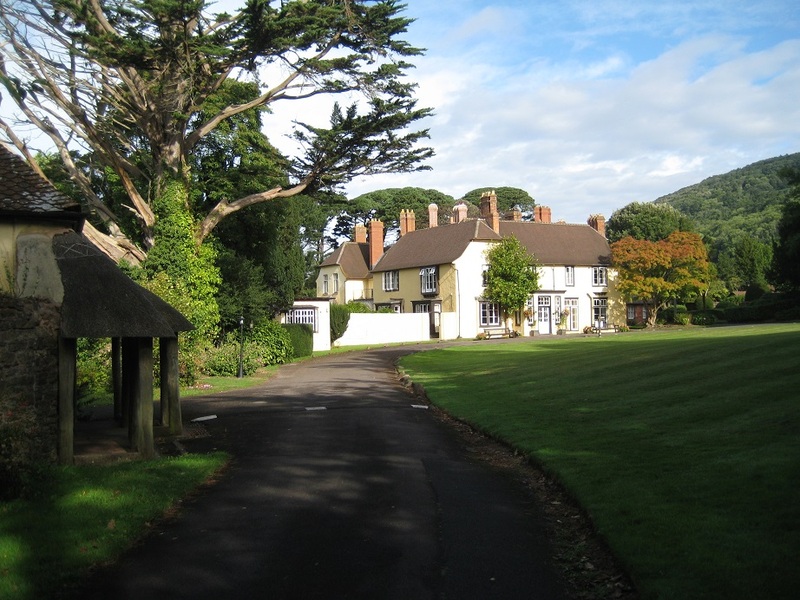 So, having packed, we took a footpath from Holnicote House, where we had stayed – https://www.hfholidays.co.uk/country-houses/selworthy – crossed a couple of fields, and along a very minor road. 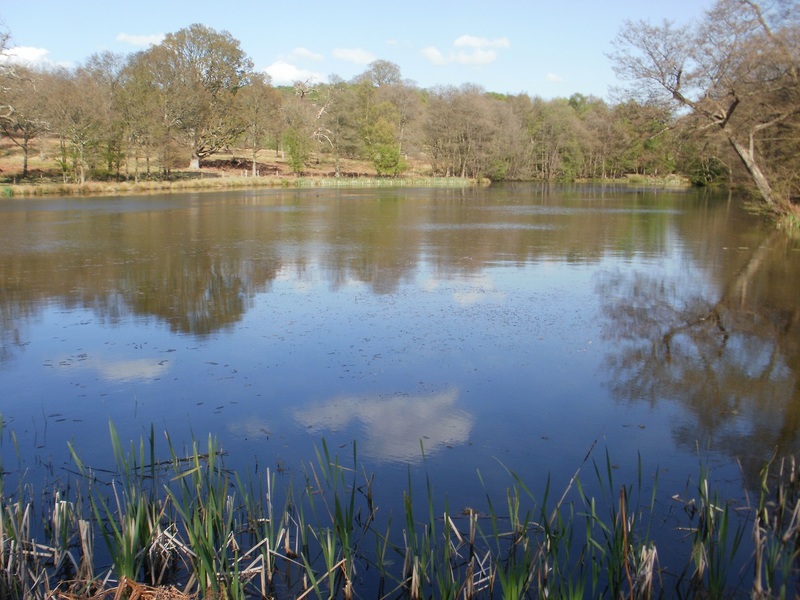 A little way along, just off the road, was a bird hide, overlooking water meadows – our destination. The cache, a good-sized yellow Tupperware container, was lightly concealed ‘in plain view’ in a pleasant and tranquil spot. Returning to the car, our return journey started. 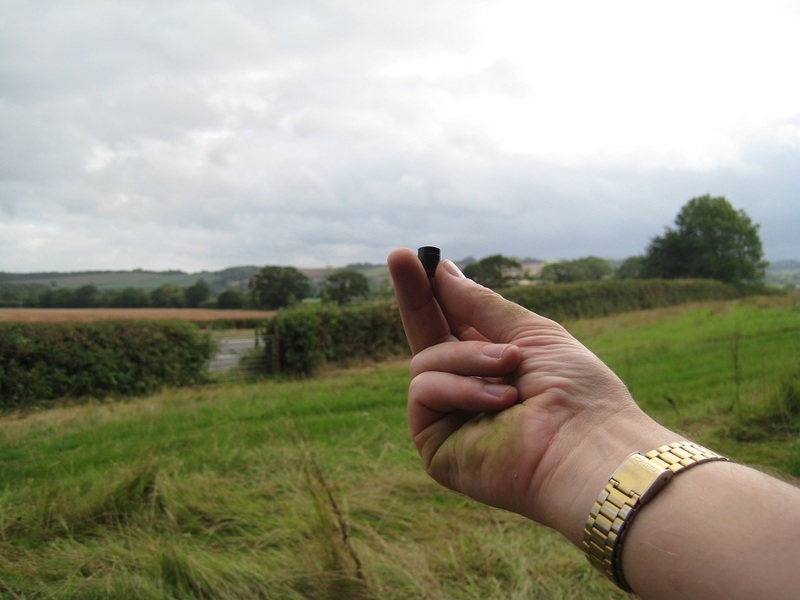 Having taken the West Somerset Railway (WSR) earlier in the week, we knew that there were caches along the route that we hadn’t found. We turned off the A39, to arrive at Blue Anchor http://www.fowsr.org.uk/stations-and-line/blue-anchor From the seafront, it was but a short walk to the WSR level crossing, and a short search to find another good-size cache, another one from the ‘Will Something Run’ series. And, we’d timed our arrival just right to watch the arrival of the first train of the day from Minehead – and our chance to wave at people on trains. 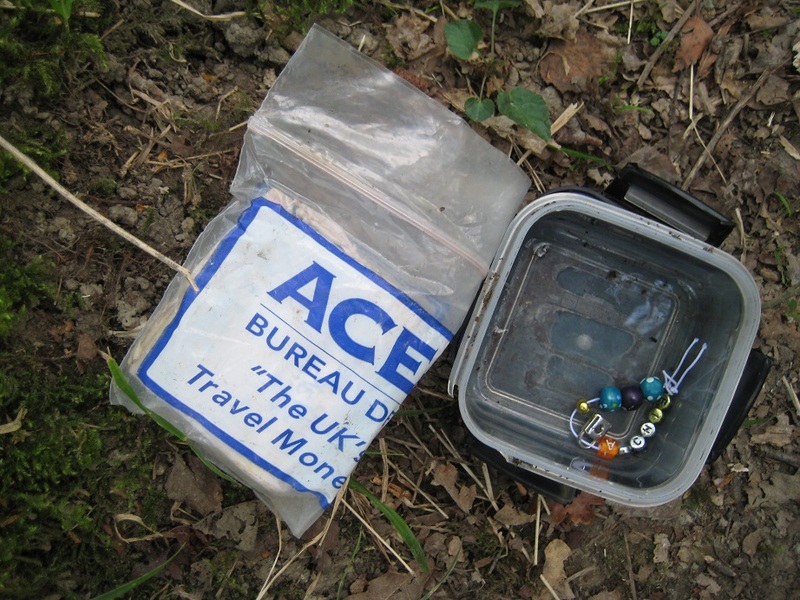 Once back on the A39, we stopped after a short distance to search for another cache, hidden at the start of a footpath leading away from the road. 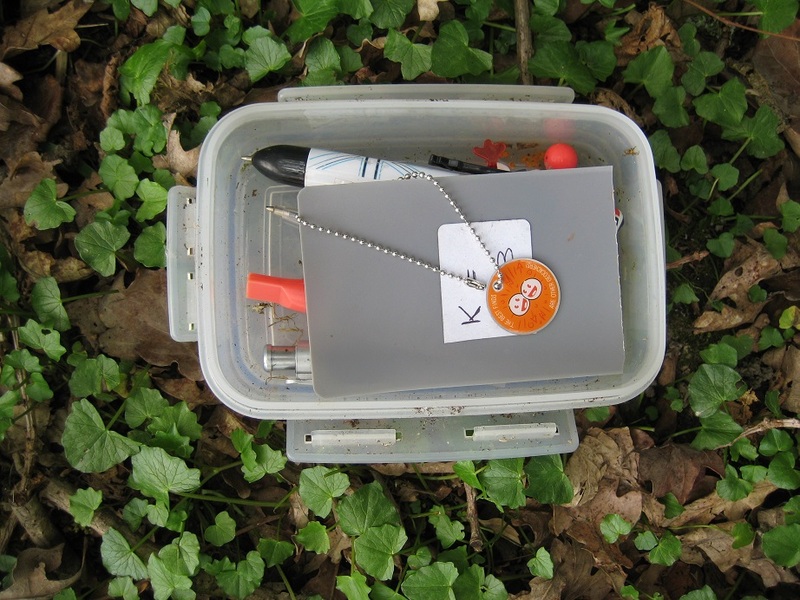 This cache led us a merry dance; we searched everywhere (or so we thought) and were on the point of giving up when a careful re-read of the description, hint, and logs made us look again, and we found a tiny, tiny magnetic cache attached to some metalwork. A little way on again, we stopped at Washford station to find another from the WSR series, this one hidden right at the end of the very long platform. 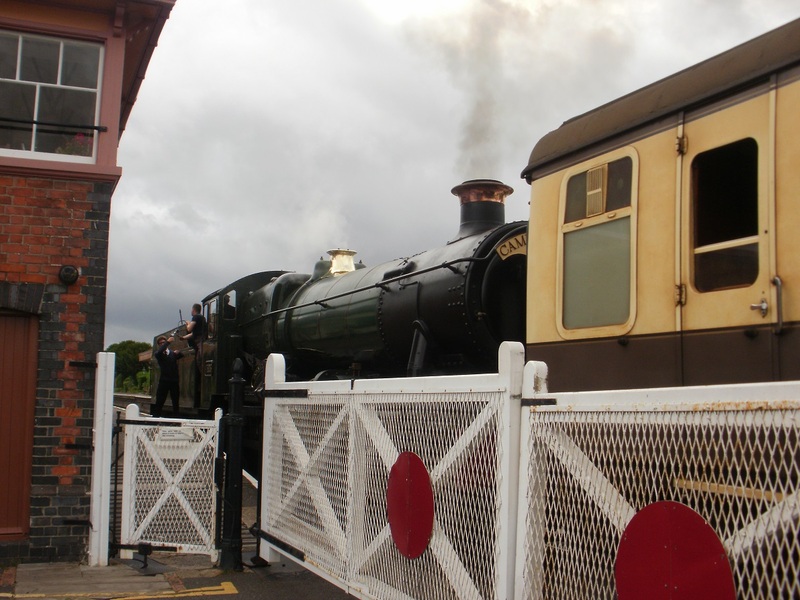 It also gave us a chance to have a coffee, watch another train steam through, and to wave at more people on trains. But the day was passing, and we weren’t getting much nearer to home, so we pressed on to Taunton and onto the busy A358, leading to the even busier A303. 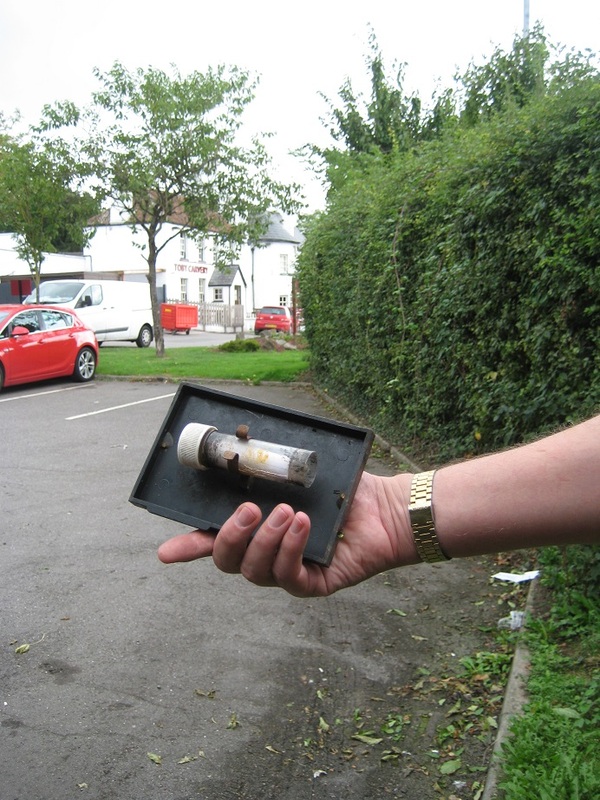 There are caches along the route, and we stopped at one of these, ‘Geo Pitstop’, in the car park of a Toby Carvery , and most cunningly hidden in a structure on the ground. And we stopped for another cache in the same series, ‘Manor on High’ a couple of miles further on, but we didn’t understand the clue, and we didn’t find the cache. Editor’s note: after recording our lack of success, the cache owner visited and has reported that the cache is no longer there; it was a meerkat, which explained the cache name. And that was all the caching for that day, and for the holiday, for we joined the A303 soon after and made our way home. So we decided to use the non-walking day as an excuse for geocaching. 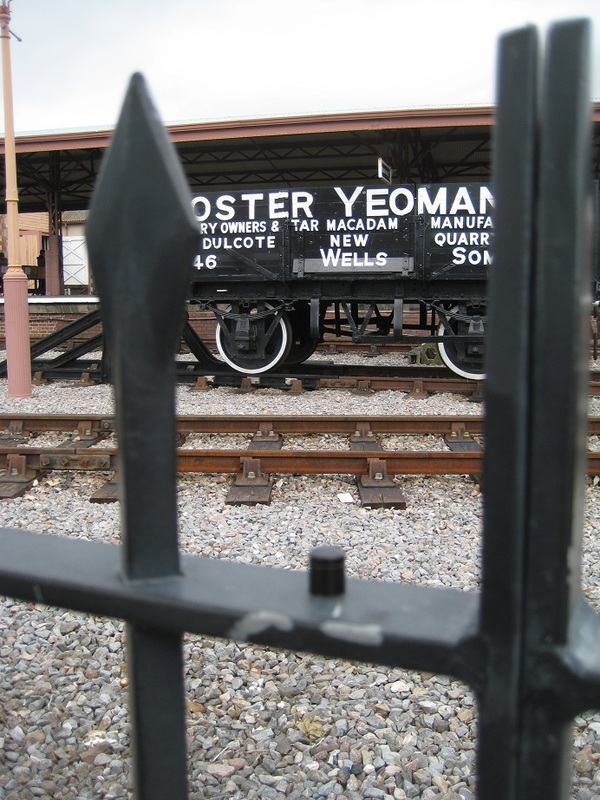 We based our day’s caching on the West Somerset Heritage Railway. 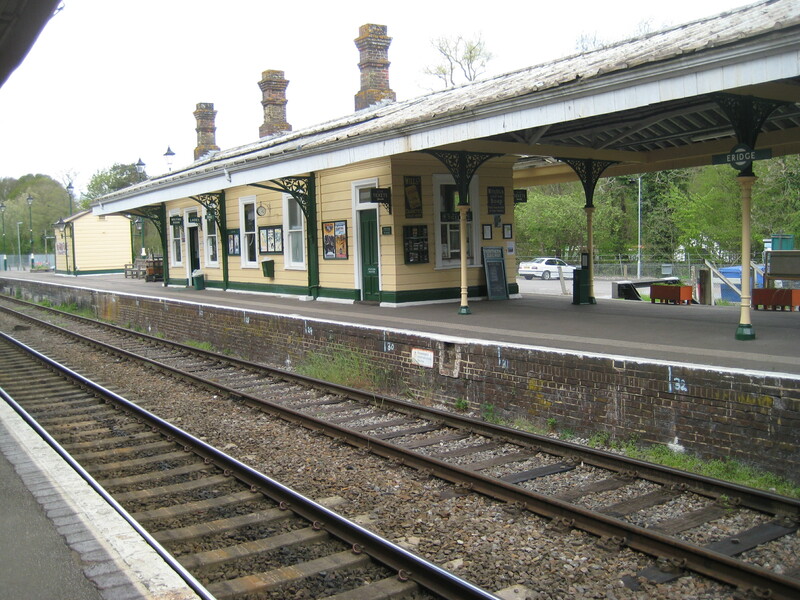 This Railway line, a original spur of the Great Western Railway originally ran between Taunton and Minehead. 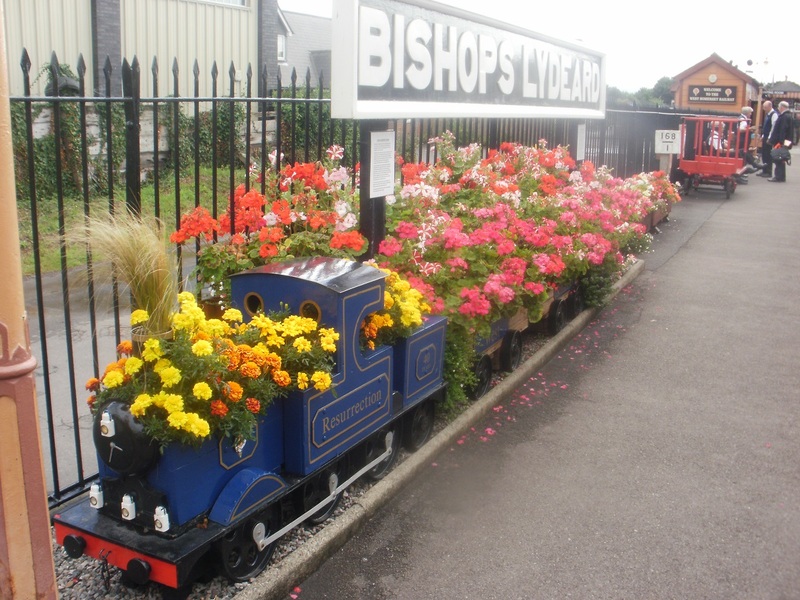 It was closed as part of the Beeching cuts of the 1960s, and has never been fully reopened, but covers 20 miles (about two-thirds of that original journey) from Minehead to a small village at Bishops Lydeard. 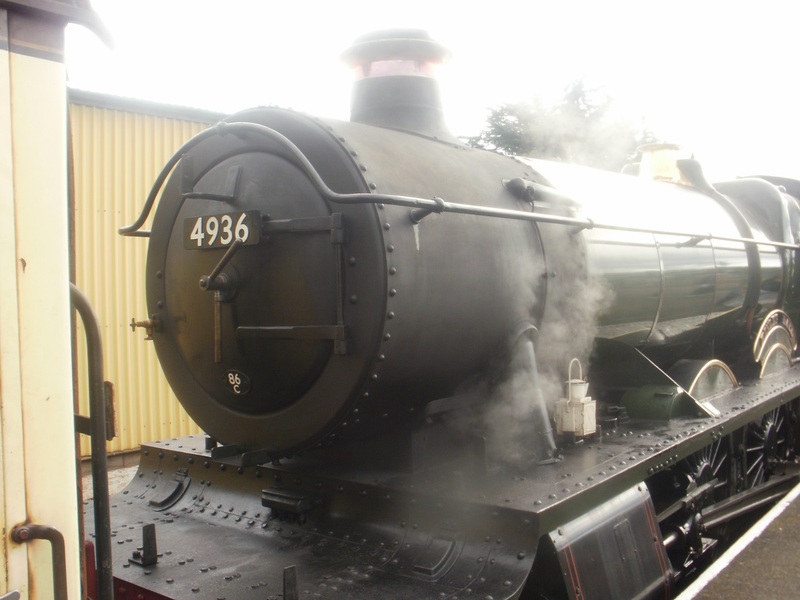 Getting Steamed up at Minehead! We boarded at Minehead armed with our Rover tickets, which meant we could jump on and off the trains all day. 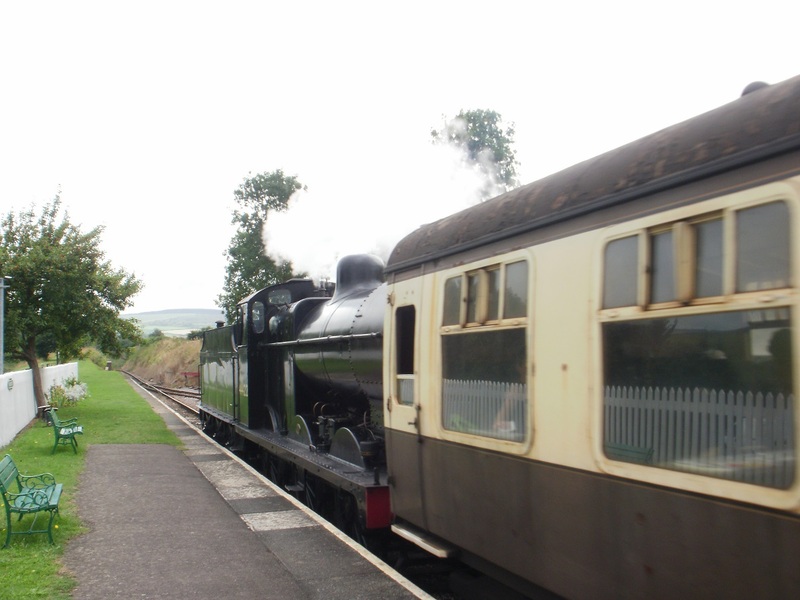 We were slightly limited in options as there were just 5 trains in each direction that day.. but still a fun day out. 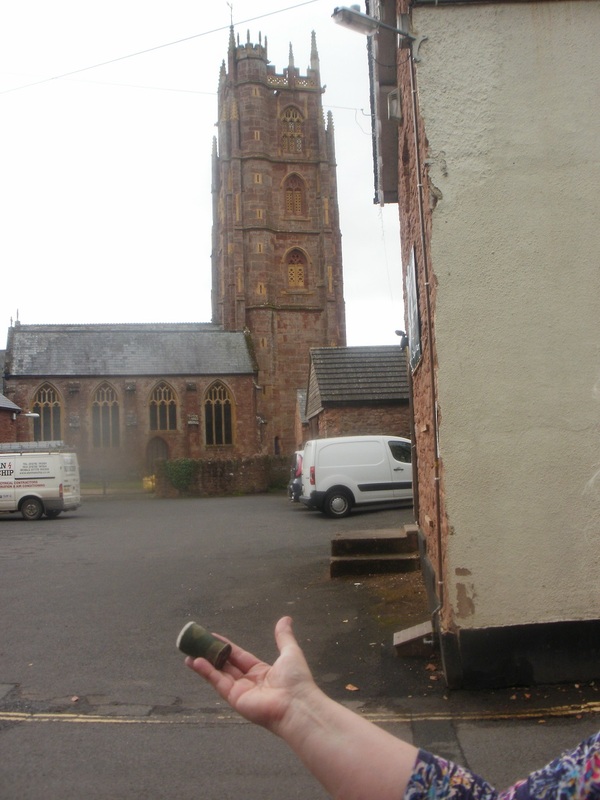 The first caches we found were at Bishops Lydeard. 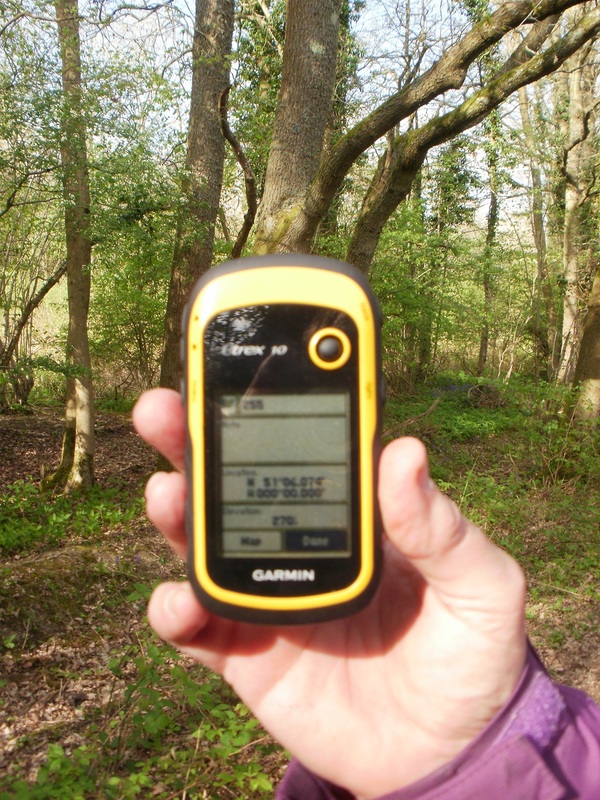 Here we had 3 caches to attempt. 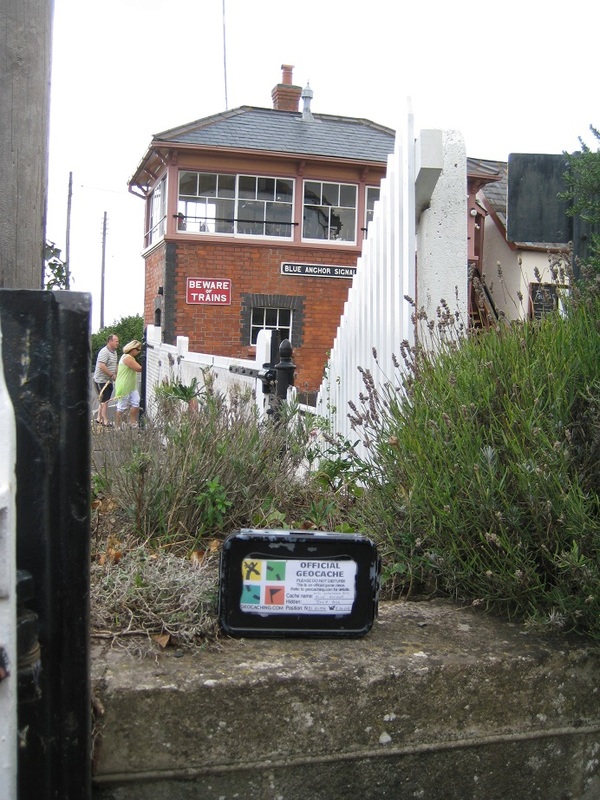 One was part of a small series entitled “Will Something Run” with a cache based at most of the Heritage stations (there are 9). This was a quick easy find overlooking the station. (A vintage diesel was about to leave). 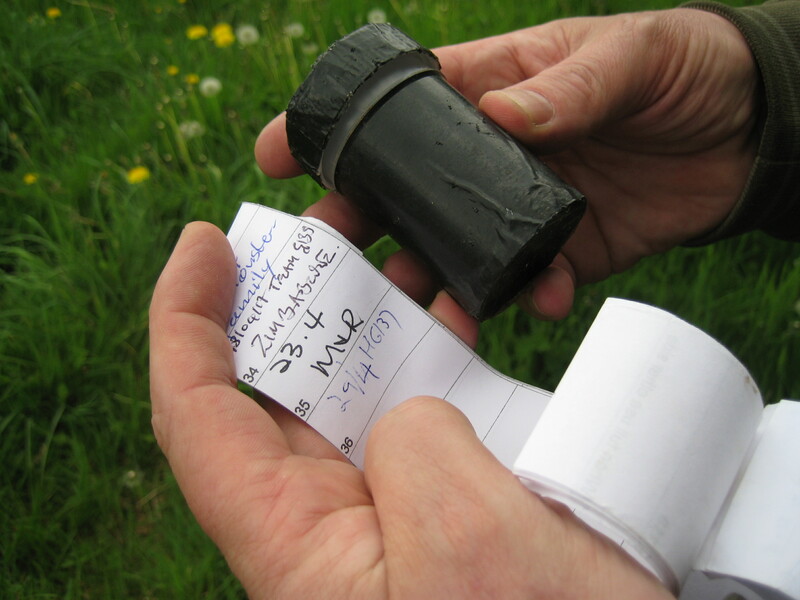 We then walked the full distance of the village to find a Church Micro – hidden in a drainage pipe. The church looked splendid, but with less than an hour we couldn’t loiter too long. 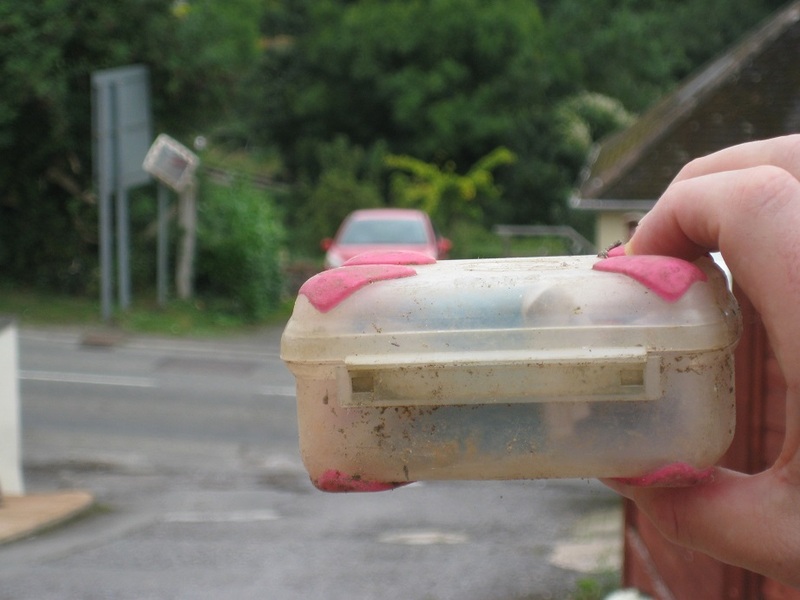 We did try for another cache, but this was hidden in larger culvert – apparently with easy access – but we couldn’t find out how, so we skipped the cache before catching the train back to Minehead. 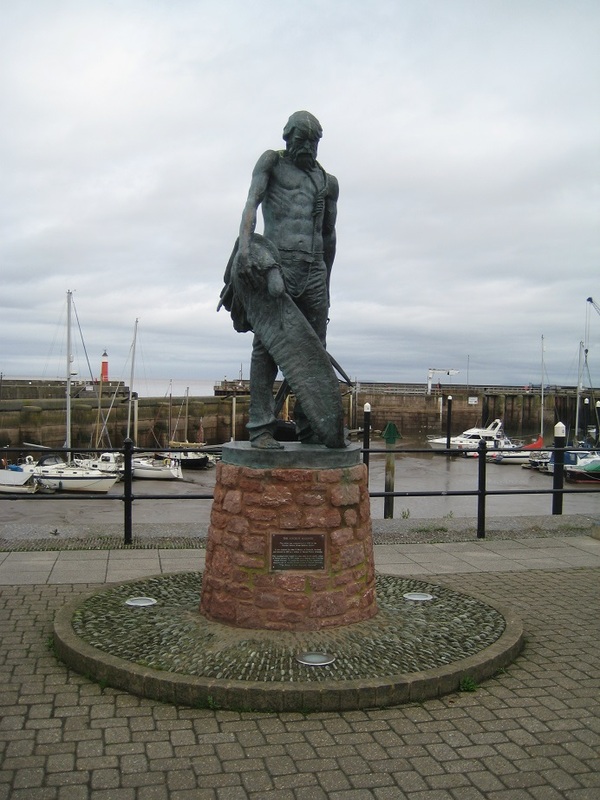 The first attempt was called “Sit and Watchet” . However this was under a seat, which was occupied. We moved on. We admired the harbour (now marina), various statues, and followed alleyways and byways until we reached a packhorse bridge. The site of another cache. We looked at the obvious locations, avoiding where possible muggle eyes, but failed to find. We saw another couple undertaking a town trail who were busy counting dragons on a nearby door (yes, really!). 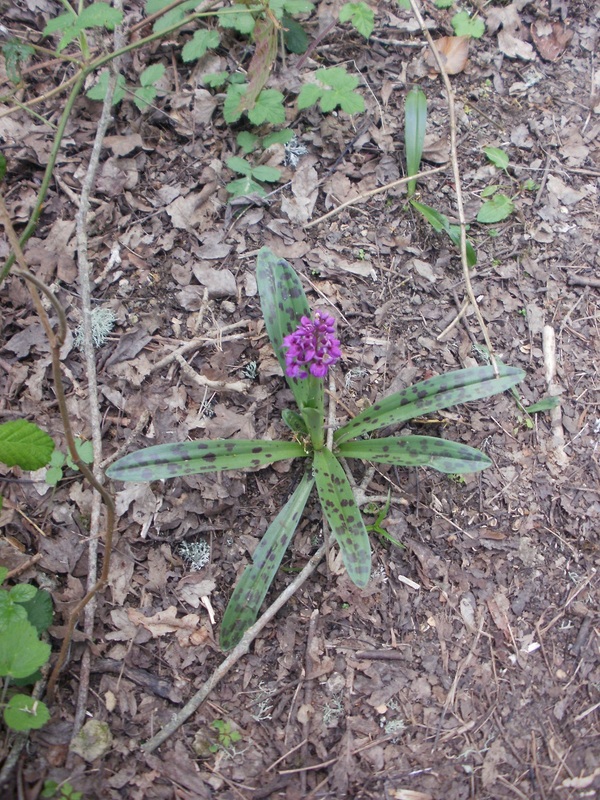 Eventually after much re-searching we found the cache well hidden in a flower border. 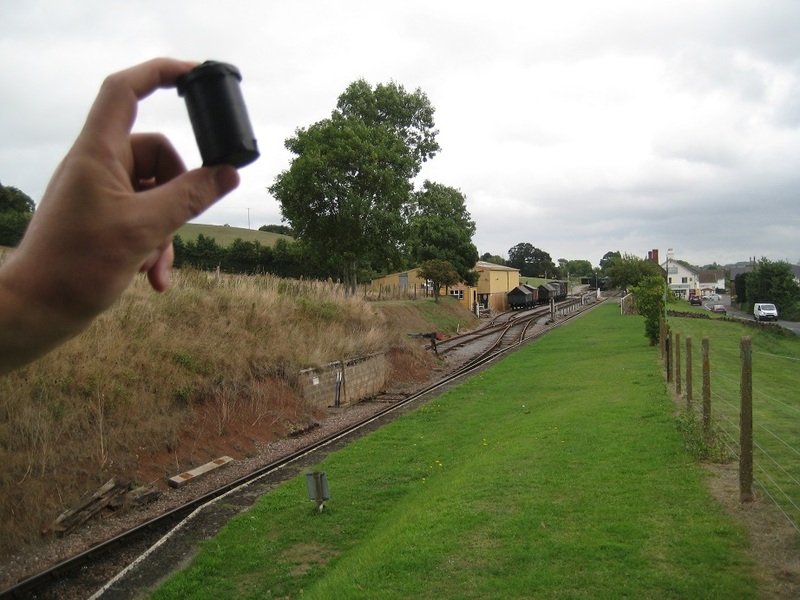 The third cache in Watchet was called “Choo Choo and View”. We (wrongly) assumed it would have a good view of the railway line. 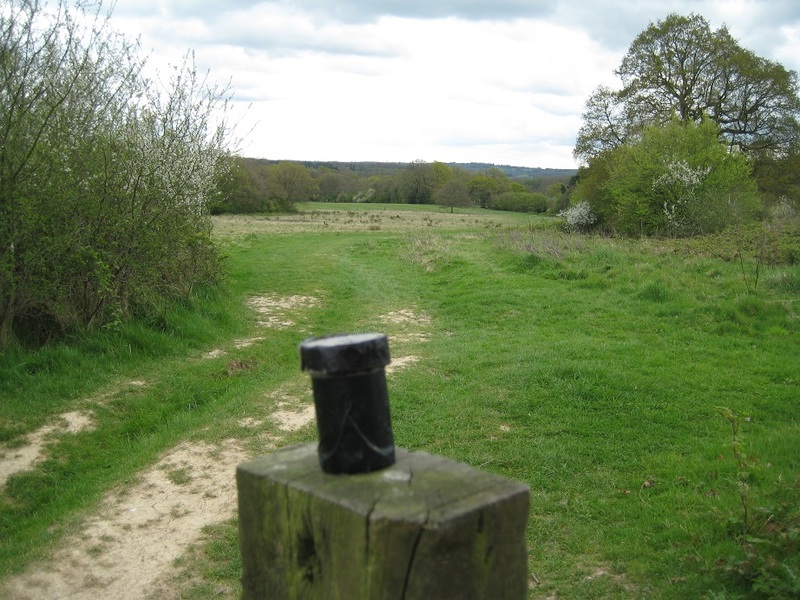 So we followed well made footpaths, rather than believing the GPS which pointed us up a pavement-less road to a small housing estate…with a minute distant view of the railway line. 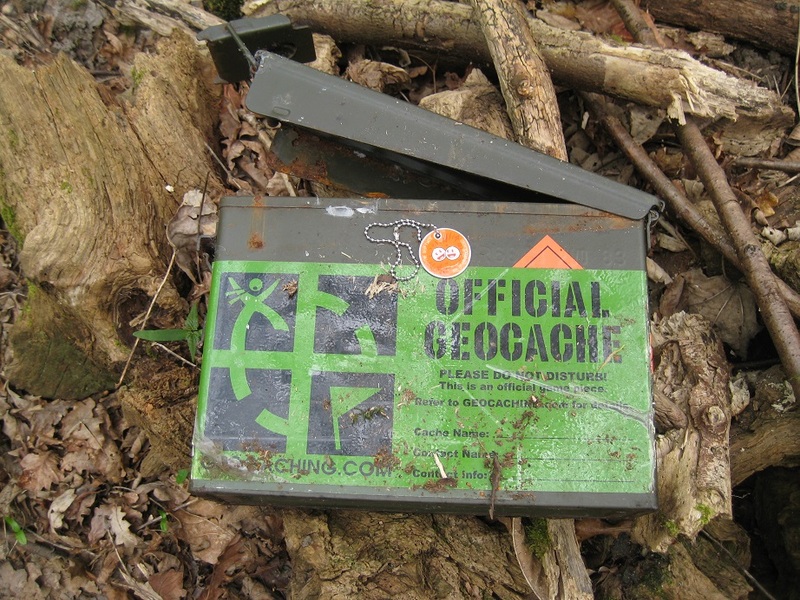 When we did arrive at the very unremarkable hiding place, we had just put the cache back, when a resident asked us whether we were looking for that “geo-catch thing”. 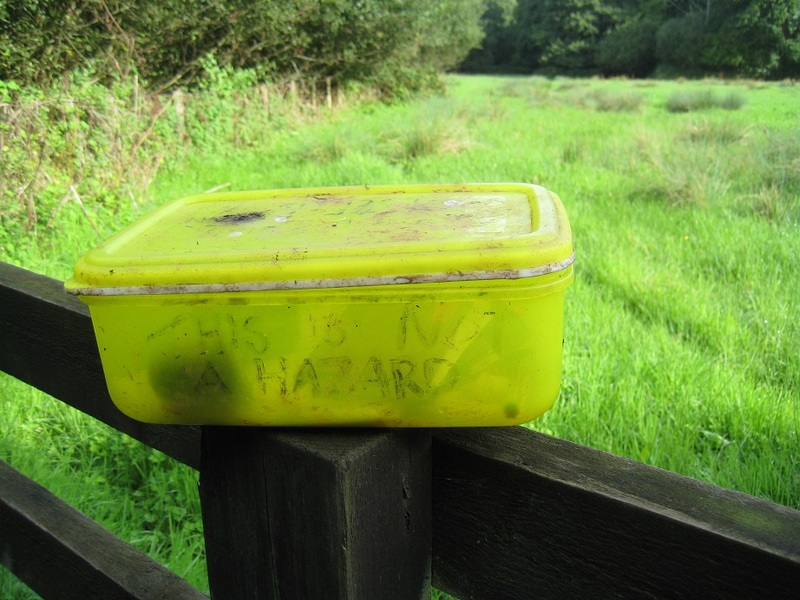 Clearly this cache has had muggle awareness stamped all over it! 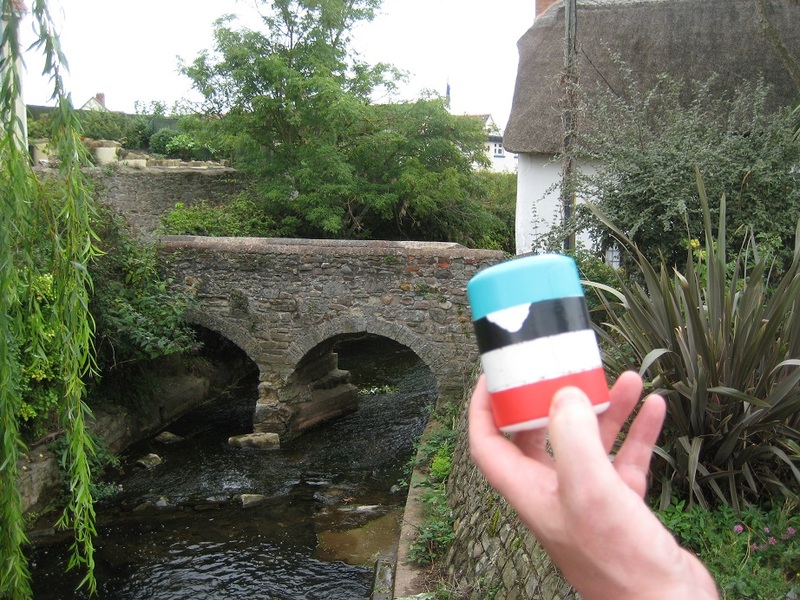 So two caches found, all we needed was the “Sit and Watchet” seat to be empty … which it was! 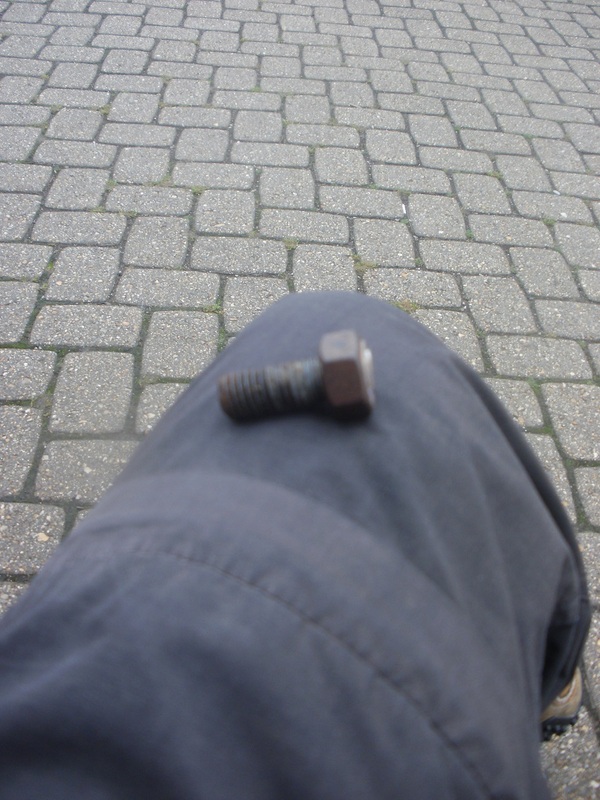 We both groped underneath, in the way only cachers can and found the magnetic nano fairly quickly. 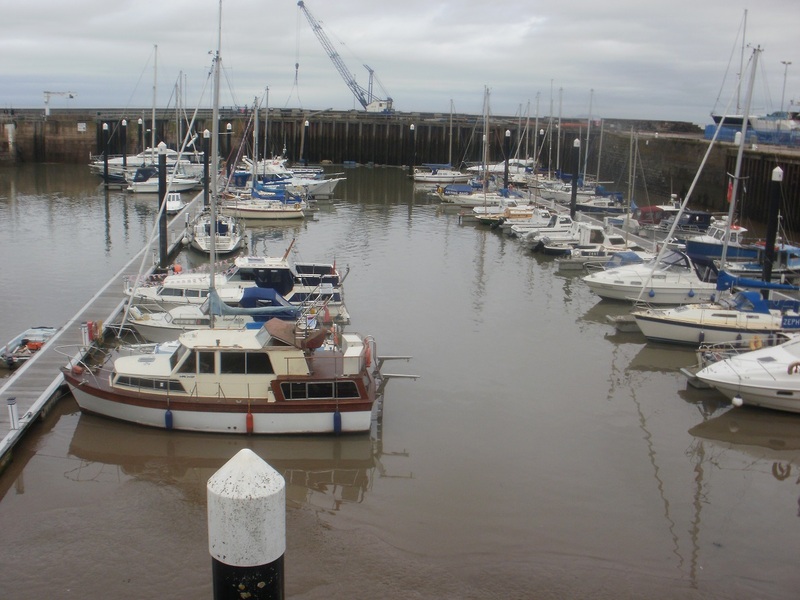 So after three mini-adventures at each cache site, we were grateful for the 2 hours we had in Watchet. 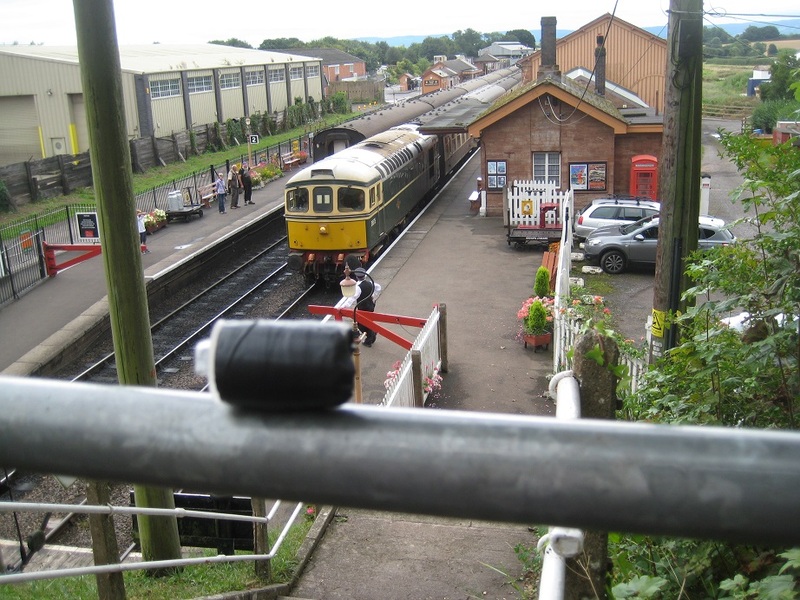 Our final cache of the day “Will Something Run – Minehead” was a quick find at the end of great day on the heritage railway!